Police seized over 400 items including cannabis, a shotgun and an axe. 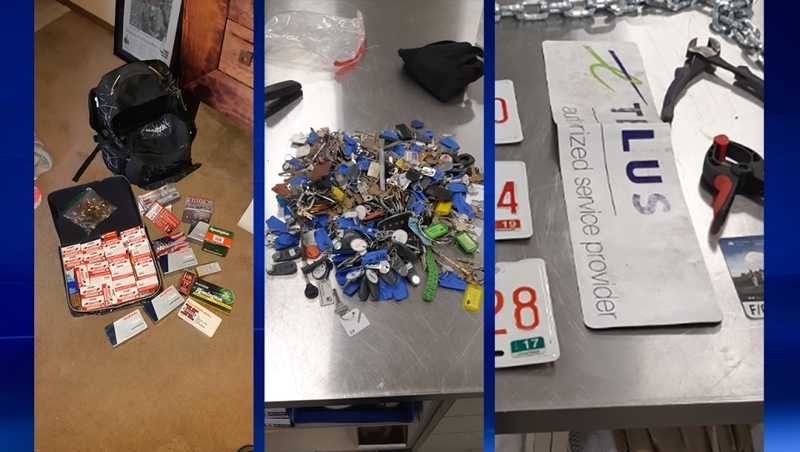 Police have seized over 400 items from an apartment in the city’s southeast in connection to a drug trafficking investigation and three people are now facing a number of charges. A search warrant was executed on an apartment in the 200 block of Lynnview Road S.E. last Wednesday and three occupants inside the residence were arrested. Police say they don’t know how the suspects obtained the uniforms or what they were using them for. 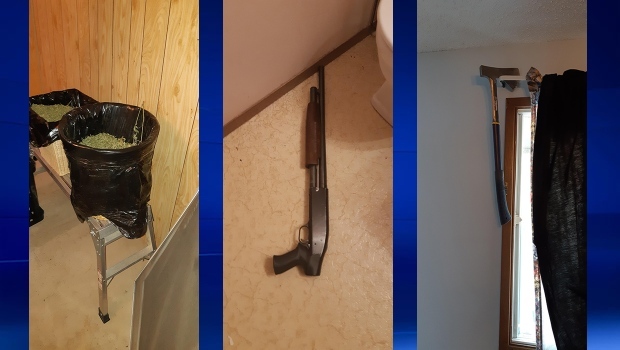 Keith Clayton Dyke, 36, is charged with 15 offences including; trafficking, possession for the purpose of trafficking, illegal possession of identity documents, weapons charges, proceeds of crime, breach of firearms prohibition and breaches of recognizance. Melissa Sue Kaplun, 33, faces five charges related to possession for the purpose of trafficking and possession of identity documents. Logan Cody Auest, 29, is charged with breach of a firearms prohibition. 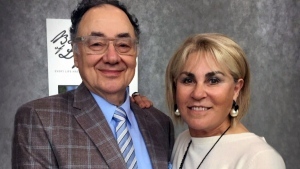 Anyone with information about the investigation or about suspicious activity in their neighbourhood is asked to contact the Drug Tip line by phone at 403-428-8100, by email at drugstips@calgarypolice.ca or through Crime Stoppers by calling 1-800-222-8477, or online at calgarycrimestoppers.org. 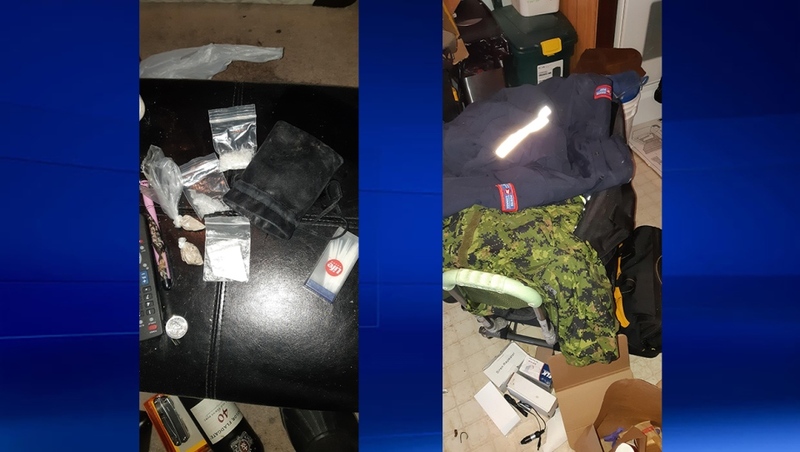 Some drugs and Canada Post, Canadian military and TELUS uniforms were also seized during the investigation. 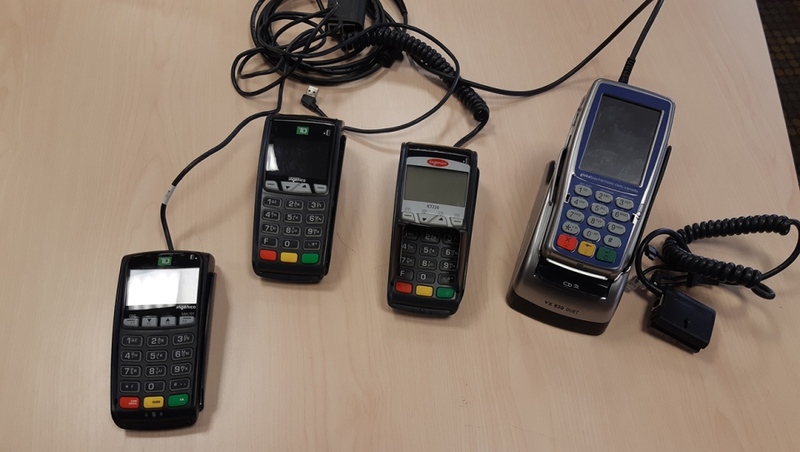 Several debit machines and card making equipment was found in the apartment. IDs, credit cards, keys and magnetic vehicle signs were also part of the haul. 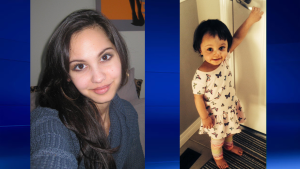 Authorities are trying to locate a woman and child who were reported missing on Tuesday and say the pair have not been heard from since last week. Will the price of gas influence your summer travel plans?